“I’m not ___________ enough.” You can fill in that blank with smart, talented, gifted, spiritual, outgoing, attractive, or any number of positive attributes. But the root source of each one of those blanks is rooted in “I’m not good enough.” Period. It’s one of the Enemy’s favorite deceptions to hold God’s children hostage to a life that is “less than.” “I’m not good enough” is an insidious lie that keeps God’s best at bay for many of His children. Giving in to the lie of “I’m not good enough” will paralyze you. It’s the coward’s way out. I might have just hurt your feelings, but listen, I’m talking to myself too. I was asked to speak to a group of teenage girls not too long ago. I thought, I don’t do teenage girls. They scare me. I’m not cool enough. They won’t listen to me. I’m going to sound stupid. But I put on my cool jeans and my gladiator sandals and spoke to the girls. How did it go? I’m not sure. 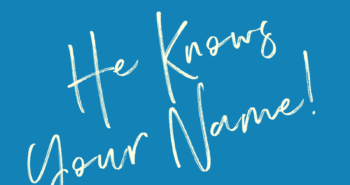 But here’s what I do know. I am not responsible for the outcome of my obedience. God is. Courage and confidence follow obedience. I can’t tell you how many times I’ve stood backstage at a conference with the words “I’m not good enough” screaming in my head. But when I step out in obedience, and do what God has called me to do, the power of the Holy Spirit overpowers the lies of the Enemy, who told me to just go home. What lie of the enemy do you need to replace with God’s truth today? Leave a comment and let’s compare notes. We’ll randomly pick one comment and send a FREE Enough bracelet made by the women of Fashion and Compassion. Every time you wear it, you’ll be reminded that because of Jesus’ finished work on the cross and His spirit in you…you are enough! I am constantly battling the statement your not good enough, as a teacher, as a woman, as a mother, as a Bible Study leader, as a friend, as a sister, as daughter on and on and on and on… Satan sure messes with my mind… and then I read devotions as these and it reminds me that I am a daughter of THE King and He loves me and fills me with ALL that I need.. He died for ME … if I am enough for that I am good enough! thank you for the reminder and I humbly thank YOU Jesus for loving me. No matter what the achievement, there was always this voice in my head saying that your success is not real or lasting, as it can be taken away from you if you fall short of God’s expectations. The more I would hear the voice, the harder I would try to live a Godly life, but in my “own” strength, I would inevitably fail, and the cycle would begin again. Like an engine that is being over-revved, the bouncing back and forth between striving and falling short was demoralizing. Then one day I realized that I was good enough. Not because of anything that I could accomplish on my own, but because of the blood of Jesus and the fact that through HIM (not me) I can do all things because HE strengthens ME! Will I fail from time-to-time? YES. But I am no longer under the law but under grace and with it not only comes my redemption but my peace and my strength to run the race. You literally took the (bad) words right out of my mind. I fight those thoughts and thankfully the Word of God reminds me that I am not called to be what others are called to be. But the enemy still bombards me with the “I’m not good enough” lie. Thanks for the post. What an absolutely needed topic for your book, Sharon! So often I have to trust God for relief from that sinking feeling that I’m just not measuring up in any area of life. Thanks be to God for His yard stick of Grace. There are so many not good enoughs it’s hard to pick one. I guess the one that plagued me since childhood was not smart enough. Back in the old days in grade school we were separated into above average, average and below average. I’m pretty sure that was a lie, but no one told me otherwise. Yes, these are words that plague me from time to time, and it is a constant battle between truth and lies. 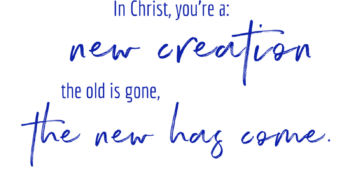 These lines say it all – ‘However, many have taken the truth that they are not good enough to earn their way to heaven and transferred it to “I’m not good enough—period.” But through the finished work of Jesus Christ, and His power working in you and through you, you are good enough to do everything God has called you to do and be.’ Chain-breaking wisdom indeed! Thank you! This post is so true and this book is so necessary and timely. The quicker we grab hold of this truth, the quicker we’ll be able to receive the abundance of the Father’s love toward us. Thank you! I love this part you said, ” But here’s what I do know. I am not responsible for the outcome of my obedience. God is.” I need to post that somewhere. God has asked me to do some things I don’t feel equipped, but I do them anyway. However, I frequently tell myself “someone else could do this better.” But you are so right God is responsible for the outcome. I’m not enough is a great topic. Focusing on faith not fear is the answer. I’m not smart enough sometimes happens. Comes from insecurity that God does not put in our thought life. We do or others do. What God says about us matters the most. What happens when other people tell me “your not visually appealing” that I have given up on myself…then what? I struggle with trying to please others but never feeling good enough no matter what I do. I know I shouldn’t give the enemy that power over me but it’s a daily struggle. I have a had a series of chronic illnesses for the last 4 years. This year has been no different. I fear losing my job and failing in my career. I worry about being enough for my work, my family and my friends. I wrote down all my fears and worries last night and burned them. I eventually fell asleep to wake 5 hours later in a fit of a chest cough. I trust God with my life. I could use some of the enveloping and empowering right about now. This message is something our generation seems to need a lot of. The pressures of the world when Jesus just bids us come and sit by him. It sounds too easy or goo to be true for some of us I think. Sharon, such a good post! I’ve battled the statement “I’m not enough” most of my life. Other words have slipped between “not” and “enough” to clarify what I wasn’t “enough” as. Over the past few years, God has been working healing in my heart and my thoughts to remind me that only He is enough. I am enough because of Jesus, and my Father’s crazy-love for me. Lately, my struggle has been with my writing. You are not good enough” to finish that book. To be published.” I needed the reminder that . . . God. Because of Him, I am enough. He will equip me to complete the callings He’s given me. I loved this post. And please do enter me in the drawing. 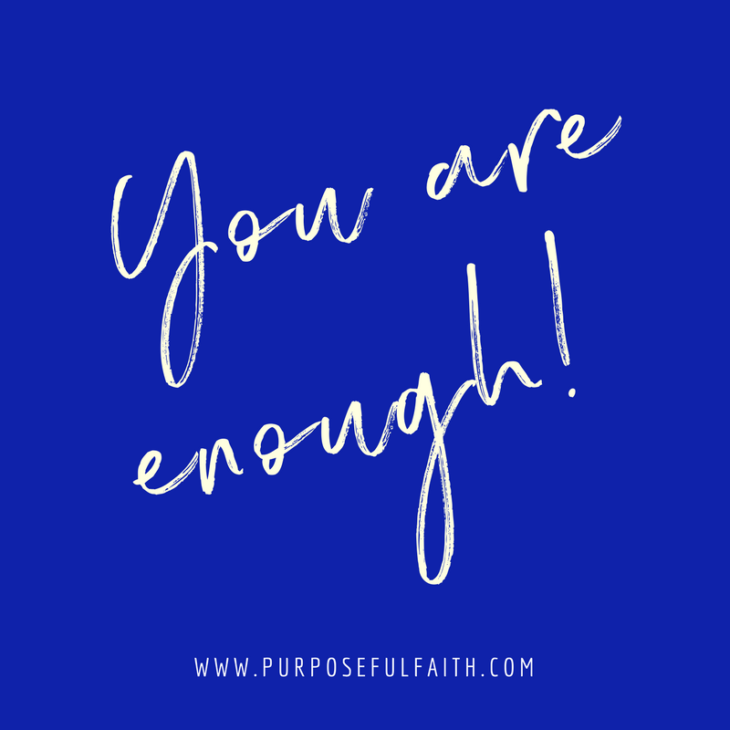 It’s time to get serious that He’s enough and that we need to rest in that otherwise we are wearied and worried, fearful to the point of not being enough, myself included. This is such a needed blog! So many women struggle with the lies that they are not enough. I know I sure do. I think it started with Eve, and the lies that she allowed the enemy to tell her. 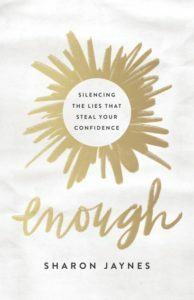 It is our job as women to believe the truth that we are more than enough, and to glorify God even more in the areas we feel lacking! The words ” I’m not good enough”, “I’m good for nothing”, “I am stupid” were spoken over me since I was a child. It was then engrained in my mind as I became an adult. These words have hindered my life and the things that the Lord wants to do in my life. In 2004, i gave my life to Jesus from a crazy party life that used to live, out of darkness I came into light. I am a survivor many times over in my life. Including domestic violence where I should be dead. After I gave my life to Jesus my life changed 180 degrees. I went back to school for nursing in 2 years ago but didn’t make it through the last practicum this last Sept. Fear hindered me once again. I was asking God today if He wants me to go back to school again. I saw this post in my email and saw the title ” When you Feel You’re not Good Enough” I sensed the Lord wanted me to read this email. Immediately I sensed that this is the confirmation and my mind is hindering me. I have done so much work on myself through the Lord with healing my heart and renewing my mind. I feel this bracelet would give me a reminder of his working power that lives inside of me and that I am created for a God divine purpose to glorify Him! Thank you, dear Kelly & Sharon for these encouraging words. I’m linking with this post because I just happened to be writing about encouragement for battling discouragement today. I needed this reminder I’m not alone. I have so many lies circling my head and trying to poke holes to get inside of me. What lie of the enemy do I hear? 1. I am not smart enough because I was forced to quit engineering due to one managers thoughts on me due to hearing loss from a brain tumour. 2. I am not good enough to carry a conversation in a large room (due to hearing loss) 3. I can’t see enough. I have always worn glasses so I am almost blind and one sided deaf, so i struggle to see well. 4. I am not regular/slender enough. I am a size 22 now, I have gained 120lbs in 16 years and I can’t get it to stay off and i can’t get motivated to exercise, I eat well, but I have no energy from my depression and anxiety. I am not fit and slender enough to hang out with certain people or be seen with certain people or find beautiful colourful tops that fit me or for my family members to accept my size and say I am beautiful. 5. I am not liked enough that friends want to do fun things with me. And I am sure the list can go on. It is so discouraging. BUT I try and need to replace my thoughts with God’s truth – THAT I AM LOVED BY OUR KING, I am worthy. That I am now too sick to be any use to the Lord & His kingdom, as well as my family & friends… is the lie I constantly have to take to the Lord in the daily challenge of living with chronic health conditions. … young enough! That may seem strange, but … my husband and I were Pastors for 25 years and needed a sabbatical. We’ve been healed, are rested and ready to return, but at 57 … It’s not just the world that wants the young and beautiful, it seems the church does too! So thankful our Father never turns us away! My hope is in HIM!! Oh, I needed to hear Sharon’s word today. I keep opening similar messages over and over the last few days when I have decided that God is finally calling me to try my hand at writing a book. It’s like He is already anticipating the fears and doubts I will have along the journey. Thank you for posting this. The lie I often hear and have to replace with The Truth is that I am not a good enough mom. This seems to be a battle we all face, some in different ways and to different degrees, but it seems to be a human struggle. Thanks for reminding us of these great truths. I always feel like I’m not good enough for my husband and my son. It screams at me all the time. I smile on the outside but on the inside I’m angry. I just feel like I’ve messed up with God so many times that he has absolutely no more time for me; That he has much more important things to do. I know that Jesus is the way, the truth, and the life, but always questioned how I do I effectively follow Jesus. What do I do? How do I do it? Sometimes I just can’t see the potential I have, and find myself continually picking at my flaws as you mentioned before. I feel like God doesn’t speak to me at all, and if He is, I definitely can’t hear him. How can I get back in touch with Him again? If you read this comment at all, thanks for taking the time to do so. Also, I appreciate you for sharing your testimony and thoughts. If you could pray for me that would be awesome. I’m Vania and I’m 21 from Florida. Menopause has hit me so very hard. The sinking feeling that I have and anxiety I feel are causing great turmoil inside of me. I have served our great God diligently for all my life. I have ministered to Muslim women over seas, I have spoken at retreats, I have a great family. My weight gain and changes in my body have been extremely hard. Empty nesting has caused loneliness. all of these feelings when I know they are not good have caused me to feel as though I am not good enough! The struggle has been very difficult I’m looking forward to ordering your book. Please lift up prayers for me as I fight this very difficult battle. I am praying for you right now, Susan! I feel a bit stupid for saying this but I don’t see this talked about enough when it comes to Christianity. So just encase someone comes across this who’s in the same boat as me, I’m going to write this anyway. Well I’m crushing and I’m crushing hard! I’m a seventeen year old girl, nearing the end of my senior year. Prom is around the corner and of course I want to go with the guy I like. Now the reason why I’m reading this article is, I feel like I don’t think much of myself and that’s why I’m so bent on trying to go with him. I thought he liked me back but I couldn’t believe it becuase of all the amazing girls around me. I want this to happen so bad to the point it’s exhausting. I just want to feel good enough so I’m not worried about this guy anymore. Originally I thought I was too busy trying to prove to everyone that I’m good enough. Though after some serious thinking, I’m starting to realize that the person im trying to prove I’m good enough to is myself. If other people think I’m good enough I’ll start to believe it myself. I know this is silly but I’m genuinely struggling with this right now. I have enough to worry about and this lack of self assuredness is messing with me. And though I only talk about crushes this does show up in many aspects of my life. For example getting accepted into colleges, job interviews, applying for scholarships and internships etc. I don’t know how to shake it.